Do you want to know how to change the user name on the PSN? What you are ashamed of the name of the user that you’re currently using in PlayStation Network (PSN)? Do you think that it is not appropriate to your personality, your age or your style of game? Now you can stop worrying: Sony finally allows you to change the user name on the PSN. There are several ways to modify and best of all is that you can even do it for free. Here’s how to change the user name on the PSN, either through a web browser or the PlayStation 4. The easiest way to change your name on PSN is to do it directly through a web browser. Sign in to your PSN account and go to the settings page, where you’ll see the option Profile of PSN near the top. Click on the link and re-enter your password when prompted. On the next page, you’ll see your name at the top. On the right side, you should see the button Edit. Press the button and then type your new name. You can also change your name of PSN directly from the PlayStation 4. To do so, go to the configuration page of the console and select the option account Management, followed by account Information, account Profile , and finally on-line Identification. If the function is active, you’ll be able to write a new ID PlayStation without touching a web browser (except that you’re using to read this). How much does it cost to change the user name on the PSN? Because this is the first time that PSN users will be able to modify their names, Sony is allowing you to do free of charge. However, if you want to modify it for the second time, you will have a cost of $5 dollars if you’re a subscriber of PlayStation Plus and $10 if you’re not. Subsequent changes will cost an additional $5 or $10 dollars, so be sure to choose a name that doesn’t pretend to be any shame or that you are sure that you go to like for a long time. If for some reason you arrepentiste change and you want to go back to your old name, no problem-you can revert the change for free. This user will also not be available to other people, so that nobody will be able to suplantarte after you change your name on PSN. In addition, in spite of change, your friends still know who you are, because your old name is displayed next to the new for 30 days. 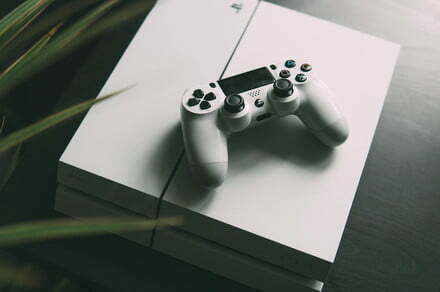 The function of changing the name of PSN is not available to all users and, in addition, we suggest to take into account some restrictions and risks before doing so. In the first place, the child accounts can’t change their names PSN, so if you are a minor, you will have to wait until you are 18 to modify it. In addition, not all games will recognize the names of PSN modified. The PlayStation 3 and Vita will not be compatible with this feature and only the titles published after April 1, 2018 are designed to do so on the PlayStation 4. According to Sony, a “vast majority” of the popular games of PlayStation 4 will recognize the names changed, from Doom to Knack 2. These titles were published before the appointed date, so it is best that you review the official list to see if your favorite game is compatible. A warning: you run the risk of losing data when you change your name on PSN. This includes the possibility of losing information of trophies, progress or save data, and even the downloadable content that you paid. Go back to your original name, although ashamed of it, you should solve these problems.